Husband and wife vaudevillains Lloyd Brant and Rosie Cole have been performing together for over 25 years as Theater of Fools. In this segment, Lloyd and Rosie perform a selection from their piece A Life of Serious Nonsense for MN Originals cameras. Husband and wife vaudevillains Lloyd Brant and Rosie Cole have been performing together for over 25 years as Theater of Fools. They are both trained in the French method of physical acting (Le Coq and Decroux) as well as juggling, acrobatics, ballet and dance. They identify themselves as clowns so don't you dare call them mimes! 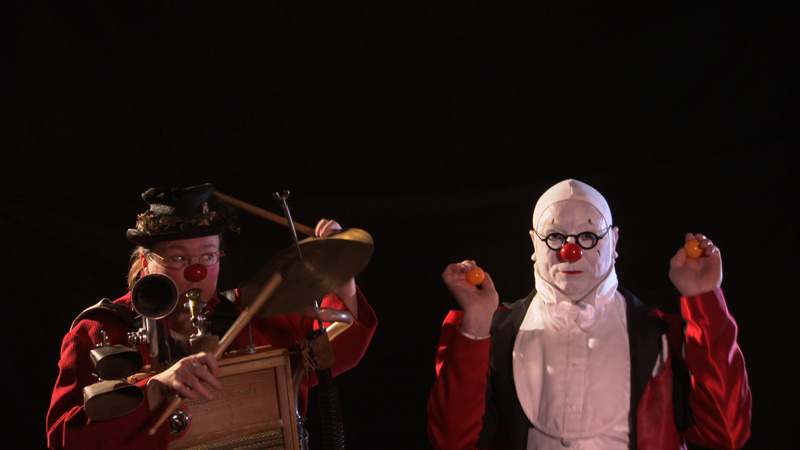 They write and perform their own shows and are passionate about keeping the vaudeville tradition alive. They love it for the direct connection they have with their audiences. They are also the inventor of The Emergency Clown Nose-a tribute to their belief that laughter really is the best medicine. In this segment, Lloyd and Rosie perform a selection from their piece A Life of Serious Nonsense for MN Original's cameras. Husband and wife vaudevillains Lloyd Brant and Rosie Cole perform.